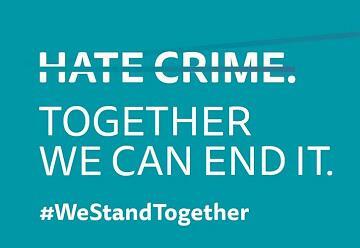 STAND together against hatred and prejudice – that’s the call to Greater Manchester people ahead of Hate Crime Awareness Week. This year people from across Greater Manchester have shown their support to end hate crime by featuring in a video, reciting the Hate Crime pledge. I’m proud that Greater Manchester is a place where everyone is free to be themselves: where no one should face violence, abuse or hatred just because of who they are, who they love, where they’re from, what they look like or what they believe. I make this promise to stand up for a Greater Manchester where we all look out for each other, we all stick up for each other, and we all stand together. By signing up to the Promise, people are able to come together and show hate crime will not be tolerated in Greater Manchester and that we’re united against it. Deputy Mayor for Policing and Crime, Bev Hughes said: “The people of Greater Manchester have shown the world how we stand together in solidarity against those who would seek to divide us, and in support of those who face violence or abuse because of who they are. Chief Superintendent, Paul Savill, GMP’s Head of Local Policing and Criminal Justice said: “Hate crime destroys lives and divides communities and has no place in Greater Manchester.